This issue includes a special gift, a Bookmark for Munchkin fans that you can use in your Munchkin: Warhammer 40,000 games! Guest Editorial. 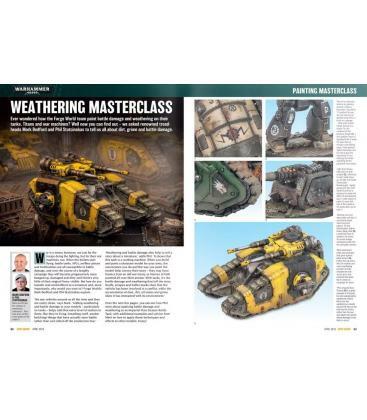 A Word from the issue’s guest editor, the Fabricator General of Forge World, Tony Cottrell. Readers’ Models. Check out our favourite reader submissions. 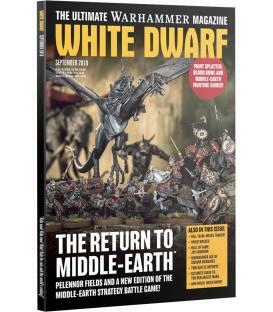 Worlds of Warhammer. Phil Kelly discusses the significance of Special Characters. The Lord of the Forge. 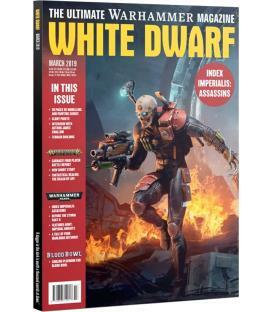 Forge World overlord Tony Cottrell talks sculpting, photography, Warlord Titans and scratch-built Baneblades. 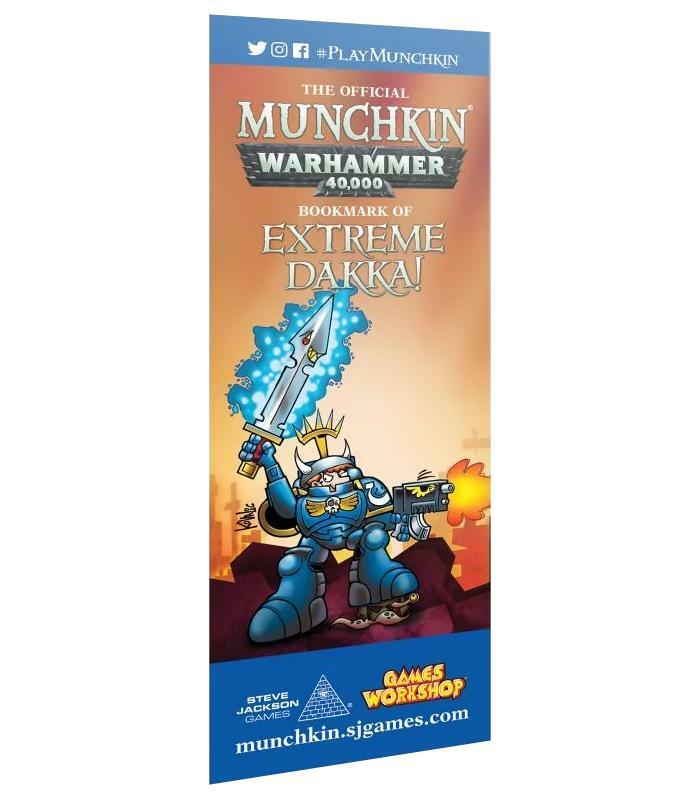 Grimdark Munchkins. 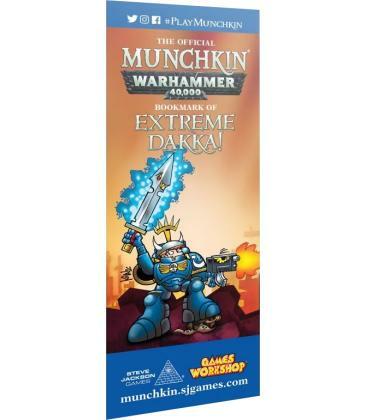 In the grim darkness of the far future, there is only killing the Monster, stealing the Treasure and stabbing your Buddy! The Siege of Terra. 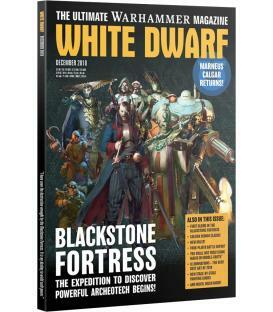 Black Library author John French talks about the upcoming Solar War Novels set to draw the bestselling series to a close. The Realm of Death. 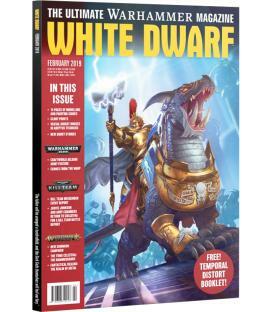 Part IV in our Series of Modelling and Painting Guides for the Mortal Realms; this month, we look at Shyish! 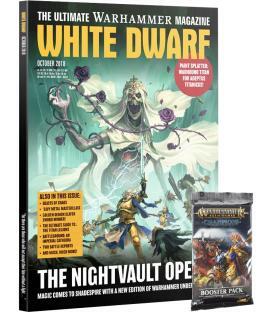 The Stormvault Warlords. 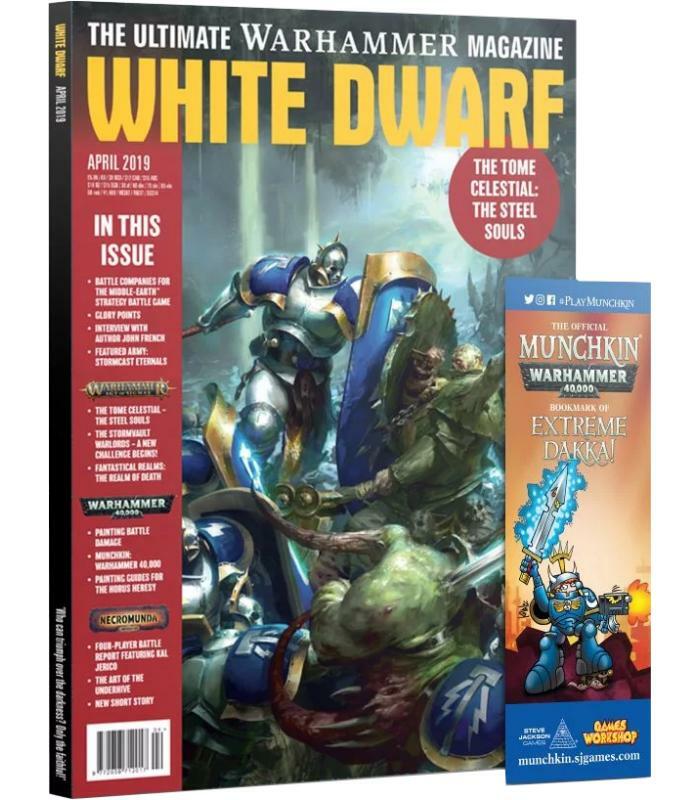 A Tale of Four Warlords is back... again! This time, it’s the turn of the Stormcast Eternals, Nurgle Daemons, Idoneth Deepkin and Gloomspite Gitz. In Sigmarite Clad. Indulge in a stunning showcase of Stormcast Eternals by Oscar Lars. The Tome Celestial. 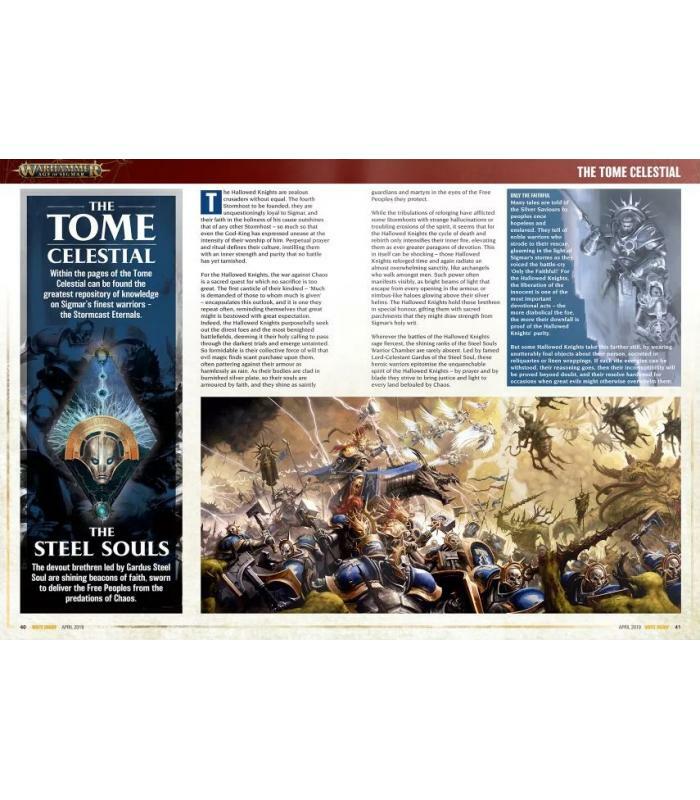 Take a detailed look at the Steel Souls Warrior Chamber of the Hallowed Knights Stormhost, including new Background and Rules for fielding them in Battle. Paint Splatter: Hallowed Knights. 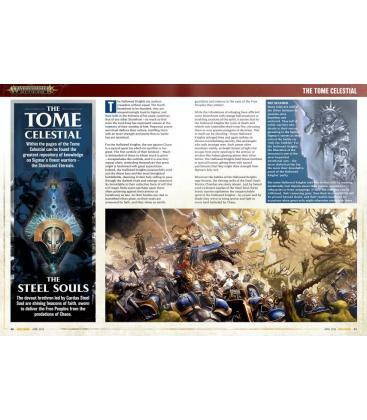 You've read all about the Steel Souls, now learn how to paint them with a handy stage-by-stage Painting Guide. Rules of Engagement. Jervis Johnson tackles the topic of gaming etiquette. Echoes From the Warp. Robin Cruddace discusses the evolution of keywords and Stratagems, and what they mean for the game. Weathering Masterclass. 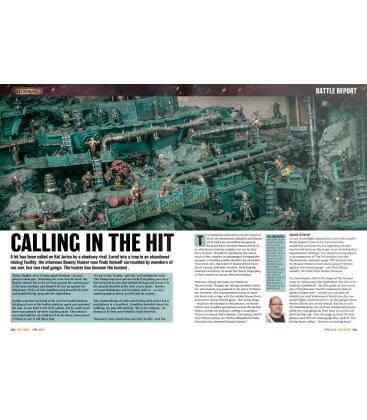 Mark Bedford and Phil Stutcinskas get down and dirty with some serious tank weathering. 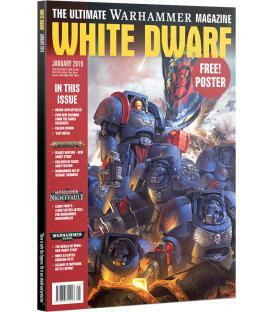 Colours of Heresy. The Forge World team show how to paint 8 crusading Legions from the Horus Heresy. Glory Points. Master of Underworlds Dave Sanders tackles the art of deck-building. A Clash of Companies. 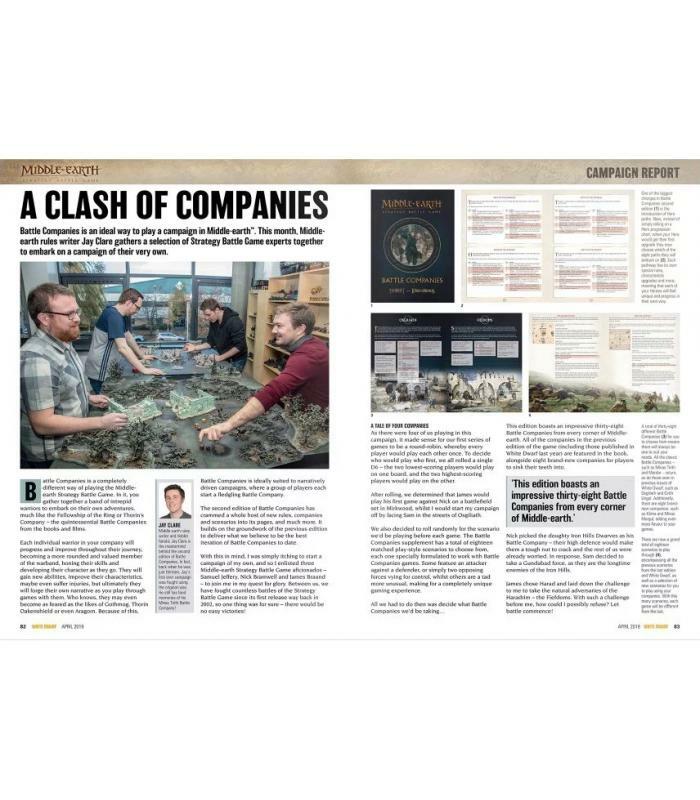 4 Generals assemble their Battle Companies and take to the battlefield for the start of a Campaign. Art of the Underhive. 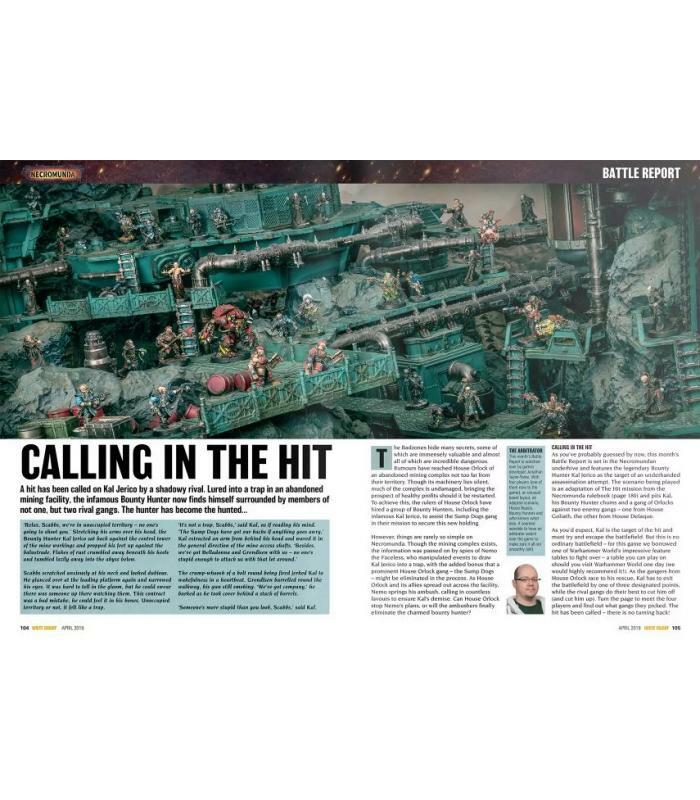 Enjoy a closer look at some of the finest Necromunda illustrations, with words from the artists. The Tale of Kal Jerico. Read a new short story about everyone’s favourite Bounty Hunter, Kal Jerico, by Owen Barnes. In the Studio. What have the Design Studio’s hobbyists been up to this month? Free Stuff! April’s issue comes with an exclusive bookmark for Munchkin: Warhammer 40,000. It can even be used as a card in the game itself!